The PacTrans Operations Team provides support for the day to day needs of the Center, which is located on the UW campus in Seattle, Washington. Dr. Wang is a professor in Civil and Environmental Engineering at the University of Washington. He serves as director for the Pacific Northwest Transportation Consortium (PacTrans), USDOT University Transportation Center for Federal Region 10. Dr. Wang’s active research fields include traffic sensing, e-science of transportation, traffic operations, accident modelling, traffic system control, and traffic simulation. He has over 100 academic publications and received one US patent and two provisional. He was the winner of the ASCE Journal of Transportation Engineering Best Paper Award for 2003. Dr. Wang serves as members of three TRB committees: Transportation Information Systems and Technology Committee (ABJ50), Freeway Operations Committee (AHB20), and Highway Capacity and Quality of Services Committee (AHB40) at the Transportation Research Board (TRB). He also chairs the research subcommittee for AHB40. Additionally, Dr. Wang is an elected member of the Board of Governors for the IEEE Intelligent Transportation Systems Society and plays an associate editor’s role for both the ASCE Journal of Transportation Engineering and Journal of Computing in Civil Engineering. 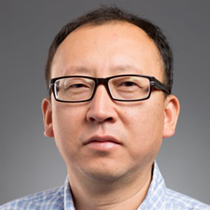 Dr. Xuegang (Jeff) Ban is an Associate Professor in the Department of Civil and Environmental Engineering at the University of Washington. His research interests are in transportation network system modeling and simulation, urban traffic system modeling and operations, transportation big data analytics, and Intelligent Transportation Systems (ITS). His research develops modeling tools to study dynamic transportation networks with emerging technologies and systems such as connected/automated vehicles and shared mobility. He also works on urban traffic systems modeling and performance evaluation using mobile sensing data. He is the recipient of the NSF CAREER Award (2010), and the New Faculty Award by the Council of University Transportation Centers and American Road & Transportation Builders Association (2012). His research has been funded by the NSF, US DOT, Volvo Foundation, and various state and local transportation agencies. Dr. Ban serves on the Network Modeling Committee (ADB30) and the Vehicle Highway Automation Committee (AHB30) of Transportation Research Board (TRB) of the National Academies. He was the elected Vice Chair (2010-2011) and Chair (2012-2013) of the ITS SIG (cluster) under Transportation Science and Logistics (Society) of INFORMS. He is an Associate Editor of IEEE Transactions on Intelligent Transportation Systems, Journal of Intelligent Transportation Systems, Networks and Spatial Economic, and Transportmetrica B: Dynamics, and serves on the editorial board of Transportation Research Part B, Part C. His research has produced more than 100 papers in refereed journals and conference proceedings. 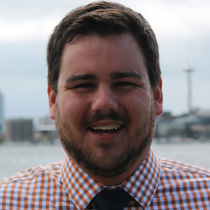 Cole Kopca is PacTrans’ Assistant Director. He has a Bachelor’s Degree in Civil Engineering from the University of Iowa and a Master’s Degree in Urban Planning from the University of Washington. In September of 2016 Cole will also be returning to school to begin doctoral work under the supervision of PacTrans Director, Dr. Yinhai Wang. While in graduate school Cole conducted research for the Runstad Center for Real Estate Studies, and since had been working with Alta Planning and Design, a national bike/ped transportation planning consultant. A self proclaimed urbanist, Cole and his wife Emily manage the apartment building that they live in in Fremont. They both volunteer with Young Life, enjoy traveling, skiing, and exploring cities. Cole is an avid homebrewer and enjoys hiking and mountaineering, and wants to change the world by providing all people with a multitude of reliable and healthy transportation options. Melanie Paredes joined the PacTrans team as our new Program Coordinator. 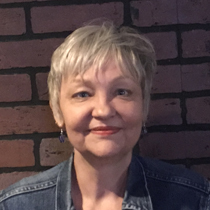 Melanie will serve as the resource person for PacTrans researchers, fellows, and students on center events, seminar talks, conferences and other research needs. She will also help coordinate meetings, seminars, conferences and travel and take on grant and fiscal support. Melanie has been with the University of Washington for more than twenty years. She’s worked at the UW Department of Radiology as Facilities Coordinator, UW Division of Gastroenterology as Assistant to the Lab Manager, UW Academic HR as Human Resources Assistant, and at the UW Payroll Office as Payroll Technician. Outside of UW, she’s worked at Archdiocese of Seattle as Assistant to the HR Director. Melanie has a B.S. in Zoology and credits in Education. She also volunteers as event coordinator of an annual ethnic Art & Culture festival at the Seattle Center and is an alumni member of the Greater Washington Alpha Phi Omega which organizes the “Adopt-A-Park” and Feeding Program. Leona is PacTrans’ Communication Intern. 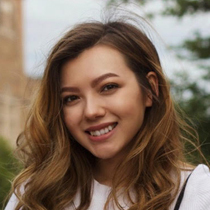 She is an undergraduate student at the University of Washington pursuing journalism, with an interest in photo and video production. Along with being one of PacTrans’ newest members, Leona is a writer for The Daily of the University of Washington, focusing on news, arts, and wellness. Leona plans to to enter a career in fashion writing and editing, and has gained experience in that realm of journalism through online based groups like Her Campus and College Fashionista, as well as had a number of stylist opportunities at places such as J.Crew and Tailor.